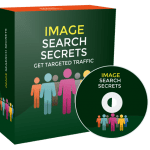 In this PLR Content Pack You’ll get 13 Unrestricted Bird Health PLR Articles Pack with Private Label Rights to help you dominate the Bird Health market which is a highly profitable and in-demand niche. 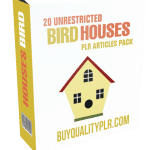 These Bird Health PLR articles are available in Text file format and can be downloaded instantly after purchase. 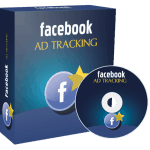 What Can You Do This Bird Health PLR? 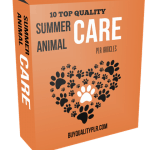 Whenever your animal is sick, no matter what kind of animal you have, and you have to go to the vet, there are going to be lots of things that you are going to want to keep in mind. Of course, you are going to be taking your pet to the vet even when they aren’t sick, because in order to have a healthy pet you need to be getting it a check up, just like you would a person. So, no matter what your reason is for taking your pet bird to vet, there are some things that you should keep in mind to make sure that it goes the way you’d like it to go. First of all, you should know your vet, and you should know what their policies are for taking your animals in. What kind of time frame do you need to make an appointment, and how long do appointments usually last? These are things that you can ask your vet before you bring any of your animals in, and these are things that you should be aware of so that you can plan your day accordingly. Something else that you should be aware of when you are taking your pet bird to the vet is that not a lot of vets know a lot about pet birds. In fact, unless you have spoken to your vet before about your bird, you shouldn’t be surprised if your vet only has a brief knowledge about your pet bird. Therefore, you should bring in some information about your bird when you first go to the vet, especially if you have a rare type of pet bird, or one that you don’t’ think people around your area would know much about. If your vet says that he doesn’t know much about birds, it is perfectly ok to ask for recommendations of vets that know more about birds and that can give you more information. 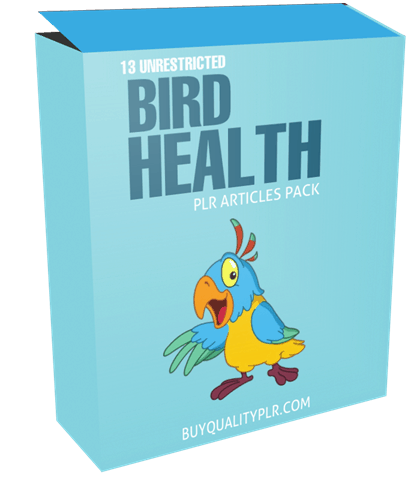 How to Purchase This Bird Health PLR Pack? 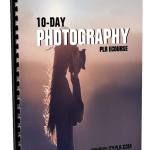 We will only be selling 50 copies on this Bird Health PLR content pack, so don’t waste any time and grab your PLR license while it’s still available for sale.